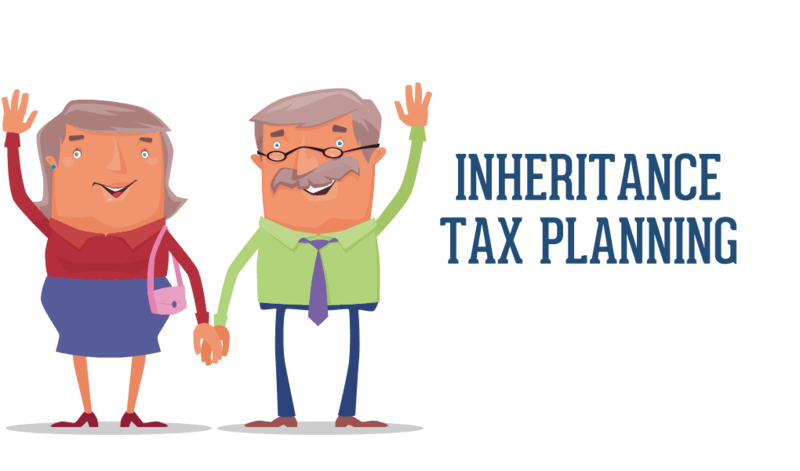 Inheritance tax in 2019 is a tax placed upon money and property that is gifted or inherited. Understandably many people approaching older age want to protect their estate and loved ones from the impact of inheritance tax. This is often known as Estate Planning. Inheritance tax was introduced in 1986 to replace capital transfer tax. It is a tax that is paid on the property or money of a person who has died. Avoiding inheritance tax is not always possible – but there are measures you can take to minimise the amount payable. There are a number of ways to avoid paying inheritance tax including; giving your money away to your children, leaving your money to charities, transferring unused thresholds. You can set up a trust to avoid paying inheritance tax. These include trusts such as Interest in Possession Trusts, Protective property trusts and Life Interest Trusts. Always take advice on setting up a trust, as getting it wrong will have significant legal and final implications. Even the smallest mistake in the documentation can make your efforts to avoid inheritance tax worthless. You can read more detail about each of these tips later in the article. Would you like some help in seeing how you can AVOID INHERITANCE TAX? Call 0800 840 1187 and speak to a specialist who can answer your questions and explain what legal options you have available to you. Alternatively, you can leave your contact details below, and a question if you have one, and a specialist will get in contact with you. What is inheritance tax in 2019? Inheritance tax was introduced by the government to replace a tax called capital transfer tax, which was essentially similar. This tax is applied to the funds in your estate – the property and assets you leave behind when you die. In 2018 it is set at a rate of 40%, which is applied to all assets over the current tax-free threshold of £325,000. This is also known as the ‘nil band rate’. The tax is paid from funds out of your estate on your behalf by your executor – the person responsible for arranging your assets and carrying out the instructions in your will. Beneficiaries won’t normally pay tax – although occasionally they may have to pay inheritance tax. This usually occurs if you give away more than £325,000 and die within seven years of doing so. How much is inheritance tax in 2019? The amount of inheritance tax you’ll pay depends on your personal situation and the total value of your assets. The question ‘how much is inheritance tax’ is not straightforward to answer – as much of it depends on you – how much you have and how your assets are distributed. There are several things that influence the amount of inheritance tax you’ll have to pay. These are known as ‘reliefs and exemptions’ set out by the government to help protect certain individuals from paying the tax. – The £325,000 tax free threshold: This was introduced to protect people with assets amounting to less than £325,000 from the tax. For many this eliminates the tax altogether – but it’s important to remember that this amount refers to the total value of your estate, not just your property. – Leaving your entire estate to a spouse, partner or charity: If you leave your estate in full to a spouse, partner or to charity, you are exempt from paying inheritance tax. – Giving away your home to children or grandchildren: If you give away your home to children or grandchildren the tax free threshold increases to £450,000. This also applies to step-children, adopted children and foster children. – Transfer of unused threshold: If you are married or in civil partnership and your personal estate amounts to less than the £325,000 threshold, the remainder of unused threshold can be added to your partner’s threshold upon your death. This means that their threshold may be as much as £850,000. If none of the above apply to you, or still leave you with assets at risk of being taxed, you may want to know how to avoid inheritance tax altogether. Here is a video with some useful tips on how to reduce your inheritance tax bill. 15 top tips on how avoiding inheritance tax? If you’d like to avoid inheritance tax or minimise the amount you’ll have to pay from your estate, there are a number of options available. These are simple and easy ways to organise your assets and potentially avoid inheritance tax altogether. It’s important to mention that these will only work if your financial situation is fairly straightforward. For more complex matters proper planning and advice from a professional financial advisor is recommended – more on this below. When you are married or in civil partnership you can give anything you own to your civil partner or spouse. This means that your estate will not have to pay inheritance tax on what the gift is worth. There are rules to bear in mind with this option – which can become complex if your spouse/civil partner was born outside of the UK or permanently lives outside of the UK. If this is the case you should seek professional advice. You can give money or assets as gifts to family members and friends who are not classed as your partner or spouse. It is only classed as a gift if you give it outright (so that you no longer have any benefit from it). The value will still be included in your estate value for inheritance tax purposes – but only for seven years. After this time it is excluded from the total value and therefore cannot be taxed. Bear in mind that you can only give away limited amounts per year – up to £3,000 annually. Capital Gains Tax may be payable on certain assets – so it’s worth discussing gifts with your solicitor or financial advisor to be completely sure. As mentioned above, if you leave all of your estate to charity there will be no inheritance tax to pay. However, many people only wish to leave a portion of their estate to charitable causes and the rest to family members and friends. There are still advantages to charitable donations upon death – if you leave 10% or more of your estate to a charity, the amount due on the rest will decrease considerably. This is because instead of being calculated at 40% the rate reduces to 36%. Taking out life insurance and directing the money into trust will not directly reduce the amount of inheritance tax you’ll have to pay – but it will make it easier for your surviving family members to pay the bill. The payout may prevent them from selling the family home, for example. One issue that many people look at is how to avoid inheritance tax on property. Whilst this is a complex subject, a trust can be one way to achieve this. A trust is a legal arrangement that enables you to give cash, property or investments to somebody else to look after for the benefit of a third party. You can for example put savings in trust for your children – or a spouse. There are two important roles required within a trust fund. The first is a trustee (the person that owns and manages the assets in the trust). The second is a beneficiary (the person that the trust is set up for. Often they are unable to manage it themselves due to age, disability etc). When you put items in trust they no longer belong to you – and this is where the inheritance tax benefit arises. If you’ve read the options above and are still unsure about which to take, you may like to consider setting up a trust to avoid inheritance tax. There are many different types of trusts available – all with advantages and disadvantages depending on your situation. Setting up a trust to avoid inheritance tax does have a range of implications both for you and for family members, so it’s advisable to discuss these at length with your solicitor or financial planner when considering the options available to you. – Interest in Possession Trusts – An interest in possession trust is a kind of trust fund set up to entitle the beneficiary to any income as soon as it is produced. It also allows you to benefit from living in and enjoying your property whilst it is in trust. Income mostly includes financial interest accrued, but could also cover you living in and enjoying your property for years to come. You can read more about it here. – Protective property trusts – These are trusts that is a type of legal structure that can be included as part of your will. It is designed to protect your property from being included in assessments that are carried out to determine how much you should contribute to long-term care fees. 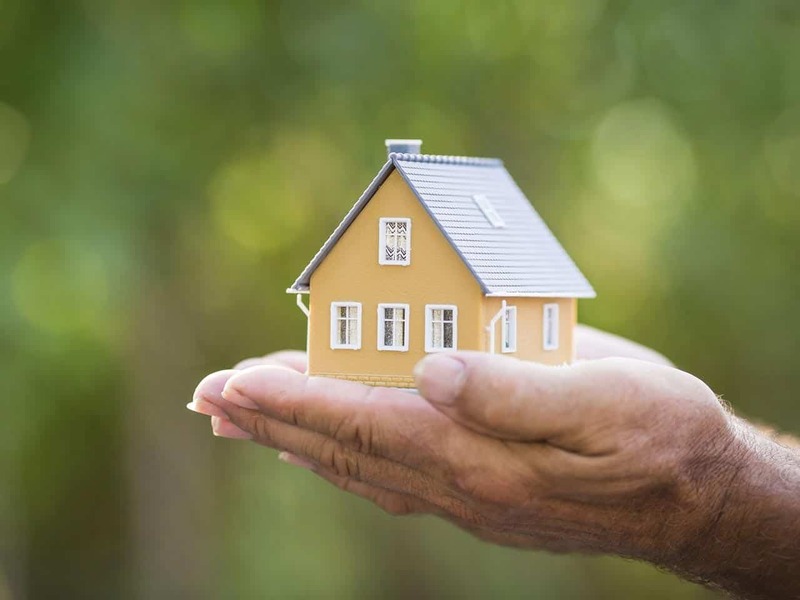 A property protection trust Will covers a share of a jointly-owned property to ensure that surviving spouses or partners can continue to benefit from their deceased partner’s share in their property even when they are gone. You can read more about it here. – Life Interest Trust – A life interest trust is a type of trust that can be included in your will. It allows you to specify who owns the rights to your property – which can protect you and family members should you need care in the future. It’s also a good way to preserve your assets and protect against Inheritance Tax. You can read more about it here. If you are a business owner, you can transfer interest in your business to a friend, relative or business partner without being subject to inheritance tax. This transfer can be made before or at the time of your death. It is possible to transfer shares and other finances related to business to a business partner without having to pay any tax. You can then specify that certain assets are transferred to your loved ones at a suitable time after your death. Under the terms of Agricultural Relief, it is possible to transfers certain types of buildings and agricultural land without being subject to inheritance tax. Of course, there is no need to wait until you die to distribute your belongings. As you become older, you are likely to find that many of the assets that you have accumulated are not needed and this is the perfect time to pass them on. It may be a good idea to seek legal representation to make sure that your assets are distributed in a fair manner and that there are as few conflicts as possible. Take the time to work out how much you need to live on and consider giving everything else away to your close friends and relatives. Gifts in the form of property or money that you present to a relative at the time of their wedding are not subject to tax. If a child or another close relative is getting married, this is the perfect time to pass on their inheritance to them so that they will not be subject to tax. It may be a good idea to put a provision in your will stating that they have already received their inheritance so that they do not make a claim for further monies after you have passed away. If you are faced with a terminal illness, this is a good time to treat your friends and family members to a special holiday or another type of experience that you can share together. Not only will there be less capital after you pass away for your loved ones to be taxed on, you will also have the chance to make some final memories that those close to you are likely to treasure for many years to come. The cost of funeral is rising and the average cost is between £3,000 – £6,000 nowadays. Therefore, you can deal with this cost upfront through the use of a prepaid funeral plan. These allow for you to pay for your funeral upfront meaning that money can’t then count towards your inheritance. If you own assets, such as shares or property that have fallen value since you bought them, then they can be passed on without attraction any capital gains tax (CGT). it’s your money so you can spend it! Why save your money knowing that a significant portion of it could be taken away through inheritance tax? Instead, why don’t you enjoy life and treat yourself to some nice holidays and gadgets that are going to make your life easier. A good example could be an electric recliner chair. In the 2017/18 tax year the threshold for inheritance tax is £325,000. This is also known as the nil rate band and can be transferred to a spouse or civil partner on death. Therefore, this gives you a total nil rate band of £325,000. Are there any implications of avoiding inheritance tax? If you have had a will drawn up previously and then decide to redistribute and rearrange your assets, it will need to be updated to reflect this. Remember that this will incur an additional cost or fee from your solicitor. You can read more about making a will here. If you choose to give away money outright as gifts or tie it up in trust funds, you may find that you don’t have enough income to enjoy life or spend on essentials such as care costs. Don’t forget that other types of tax may be applicable on certain assets and gifts, such as Capital Gains Tax. You may find that by avoiding inheritance tax you may end up unexpectedly paying more with other taxes. If you’re going into residential care or will need some sort of care provision imminently it may be too late to rearrange your assets and finances. Any gifts made may be seen as deprivation of assets and will be means tested anyway – which reduces the amount your local authority are willing to pay towards your care. You can read more about avoiding care fees here. Avoiding inheritance tax must be legal and above board. If you try to hide assets or dispose of them in a different way you may find you’ll still be liable to pay. This can make things complicated for your loved ones when you pass away. By the far, the MOST important thing to do when looking to set up a trust is to ensure you use a specialist. This will ensure that your Trust is legally compliant and that it is set up for the correct purposes. Even the smallest mistake on your trust can make it invalid, which would therefore make the exercise you undertook worthless. To find out which type of trust is best suited to your needs you’ll need professional advice and support from a solicitor or financial advisor. There is usually a cost involved in setting up a trust fund. You can leave your details below, and the UK Care Guide will put you in touch with an expert that can help you set up your trust. If you want to understand how to avoid inheritance tax, one key factor is early preparation and planning. The earlier you start to think about how you will manage and divide your estate the better. This is the main reason people start to plan early, as they want to make sure their loved ones are provided for. Inheritance tax planning with plenty of time to spare ensures that this can happen. Your financial advisor will also get in touch should the rules change at any time – so you can keep on top of them and adjust your plan accordingly. Lots of people see inheritance tax as a little unfair, as they are being taxed more than once on the assets they’ve earned and worked hard for. Planning in advance helps you to avoid it as much as possible – or minimise your bill. If you leave it too late your options will be more limited. A qualified financial advisor will be able to offer tailored, sound advice that is specifically relevant to your situation and personal preferences. They are professionals dedicated to estate planning and support in this area. Where can I go for additional advice and support? If you would like to know how to avoid inheritance tax and have a complex or unusual financial situation or large estate we strongly recommend speaking to a professional financial advisor. They will be well-versed in later life financial planning and can offer tailored advice specifically suited to your needs. They can even work with a solicitor to set up trust fund structures and put other measures in place to help you to avoid inheritance tax. Leave your details below if you would like some help in setting up a Trust. Would you like some help to AVOID INHERITANCE TAX? You can call 0800 840 1187 and speak to a specialist. Or leave your details here and we will help you. There are a lot of different ways that you can legally AVOID PAYING INHERITANCE TAX. However, it is a complicated issue and it's essential that you do everything correctly. The UK Care Guide, along with Trust Inheritance, is here to help you. You can call us directly for a free consultation or leave your contact details below and we will get in touch with you.